Like any good assassin, Ubisoft's new game-to-movie adaptation seems to have snuck up on us quietly. With all the talk about videogame movies getting caught up in Hollywood politics and development hell, it's easy to forget that Ubisoft's Assassin's Creed movie is actually approaching release rather quickly. In an interview with GamesIndustry International, Ubisoft Chief Sales and Marketing Officer, Geoffroy Sardin, offers the first glimpse at a projected release window for the flick: 2013. 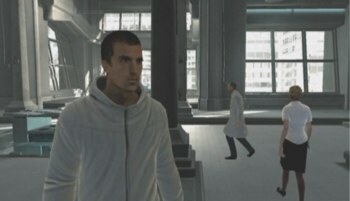 Sardin mentioned the vague date range when detailing the company's ongoing support of the franchise. "Another thing that is very important for the lifecycle is the transmedia offer. All the figurines, the books, the publishing, and we have a movie in the next coming year," Sardin explains. "So it's not only about games, we are talking about a global brand, and this is the life cycle management we want to set up now." The film stars Michael Fassbender - of Prometheus and Inglourious Basterds fame - and is being produced by New Regency. Ubisoft recently struck a deal with the production company in order to "fast-track" the flick, and hopefully ensure that it doesn't fall into the same limbo as movies like Halo or BioShock. Of course, while development appears to be moving along as planned, there's no telling just how good (or bad) the movie itself will turn out to be. We'll have to wait and see if Ubisoft has another silver screen hit on its hands, ala Prince of Persia, or a bargain bin reject like with BloodRayne, Doom, and (ugh) Postal.